The 5th Euro-Mediterranean Investment Academy and Business Forum will take place from June 1st to 3rd, 2014 at Fairmont Heliopolis Hotel. The Euro-Med @ Change: Egypt Roadshow, under the theme “Local Innovation towards Internationalization”, is the 5th Euro-Mediterranean Investment Academy and Business Forum; preceding France, Tunisia, Morocco & Lebanon roadshows and succeeding Belgium`s one. It is jointly organized by the General Authority for Investment (GAFI) and ANIMA Investment Network from June 1st to 3rd, 2014 at Fairmont Heliopolis Hotel. In the framework of the “Euro-Mediterranean Innovative Entrepreneurs for Change” project, ANIMA as the project leader, is leading a consortium of three organizations across Europe; namely, the European Business Innovation Centre Network EBN, INNO AG for strategic consultancy and the Foundation Sophia Antipolis. ANIMA also coordinates with more than 45 key, regional partners across the Euro-Mediterranean from (Tunisia, Morocco, Lebanon, Egypt and Europe) to foster internationalization for innovative entrepreneurs and SMEs. Egypt`s Roadshow is coordinated by Bedaya Centre for Entrepreneurship & SMEs Development of GAFI; in partnership with: Misr El-Kheir Foundation, Nile University, Academy for Scientific Research & Technology (ASRT), the Information Technology Industry Development Agency (ITIDA), the Middle-East Council for Small Business & Entrepreneurship (MCSBE), Bedaya Private Equity fund, CFH&ADI and Technology Innovation & Entrepreneurship Center (TIEC). Furthermore, other ecosystem stakeholders from: entrepreneurial education & mentorship; acceleration & incubation; R&D and prototype development; entrepreneurial finance and business development & networking will partner to showcase ecosystem development. The Roadshow is an invaluable opportunity for networking and matchmaking quick and easy potential cooperation. Activities are orchestrated to strengthen the presence of Euro-Med participants in local and global markets, while leveraging their international visibility. The selected startups and SMEs from the: Agri-food, ICT, tourism, Green Tech and Renewable Energies sectors, will get the opportunity to pitch for partnerships, BDS and investment. Alongside tackling the main themes of innovation, investment, networking and partnerships, training on IPR will be provided for local Egyptian participants in parallel with a tour visit to an innovation cluster for international ones. 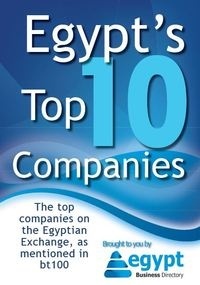 The roadshow will be attended by the stakeholders of the Egyptian ecosystem and their Euro-Mediterranean counterparts.